Some little things that may make a difference in the number. Look for any errors. Errors on credit reports are more prevalent than you may think. Sometimes information about you is years out of date or just plain wrong. Account histories can be inaccurate, and sometimes people make typing mistakes. The report will include a dispute form; you can use the dispute form to report mistakes or write a letter detailing them. Who knows – you may find something within the report that can help you boost your score. Does it sound involved? This is actually the easy part. Some work lies ahead of you. Plan to solve any immediate crises in your financial life. If you can’t pay your bills, for example, you won’t be improving your credit score anytime soon. As for debts, pay off the smallest first, then the next smallest, and so forth as your finances allow in the coming months and years. Negotiate with any collection agencies and demand a statement in writing showing that you have paid in full. Cutting up a credit card won’t help. While cutting up a card may feel like a clean break, it does not close your account with that credit card issuer. If you want to close an account, do it by paying down your balance, calling the issuer, confirming that zero balance, and verbally canceling the card. Then check your credit report later to see that the account has been “closed at customer’s request”. Stay on the radar of credit card companies. Stopping card use may actually do you a disservice, as the FICO scoring formula favors at least occasional activity. So keep your account active, and maintain between two and four credit cards. Keep balances low or wipe them out. Make every effort to pay off 100% of the balance each month. Set moderate credit limits. If a credit card company offers you a card with a really generous limit or offers to raise your limit, refrain from accepting the offer. Start a new savings account or build up the one you have. Creditors look for signs that you have cash reserves and that those reserves are being boosted or replenished. Credit scores can be improved. If your score is way down there, it may seem as though you are facing a mountain that will take years to climb. It may; credit scores improve gradually, and the biggest positive influence on a credit history is a pattern of consistently paying off debts and bills. 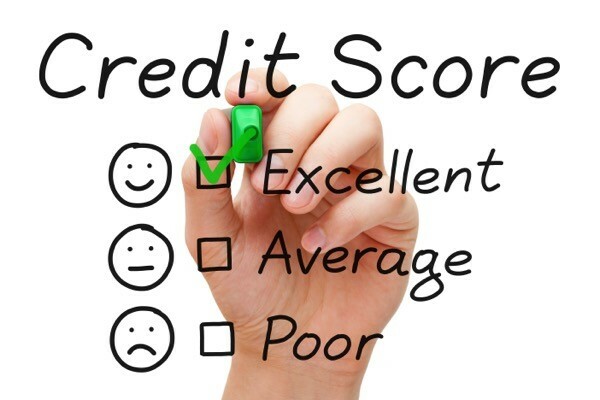 There is no magic wand that will instantly and dramatically improve your score, but it is better to start the process of rebuilding your credit history today rather than tomorrow.